Join the Children’s Research Fund Junior Board for an evening of cocktails, fashion, and fun. 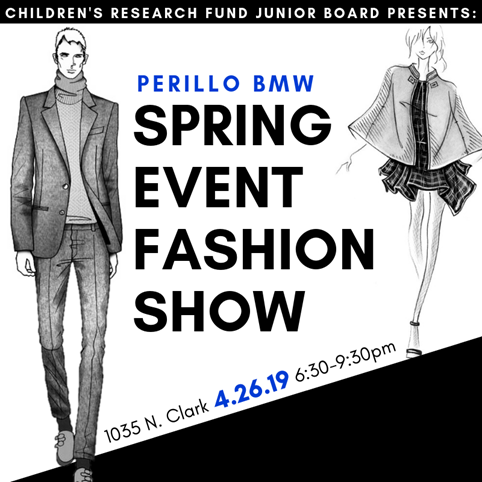 The event will include an open bar, food stations from Chicago's finest restaurants and a fashion show featuring the latest spring fashions for men and women. We hope to see you there for an unforgettable evening! All ticket proceeds support pediatric medical research being conducted at Ann & Robert H. Lurie Children’ Hospital of Chicago and the Stanley Manne Children’s Research Institute.